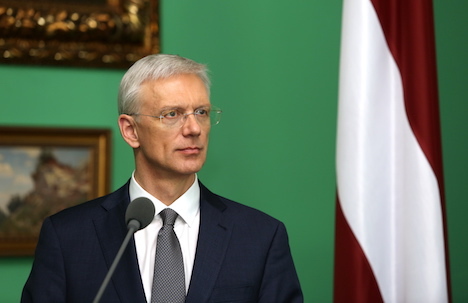 Latvia’s Prime Minister Krišjānis Kariņš does not doubt his government’s stability – he said as much in an interview to Latvijas Radio. On Thursday, 11 April, Latvia’s Saeima will decide on the opposition’s submitted dismissal request for Kariņš. The request is associated with Saeima’s proposal to abolish mandatory procurement component system, as the opposition believes this objective has not been completed. Kariņš viewed the request as unjustified because the government has concluded that MPC system should be abolished and has made steps towards this. However, something like this cannot be done immediately. Because of that, the government is currently in search of solutions that would not have a major negative impact on the state budget. The prime minister shot back at the opposition that because of this request he will not be able to attend European-level meeting with representatives of the Chinese government, because he is forced to go to the Saeima and defend himself against the dismissal request instead. As it is known, the opposition’s request for Kariņš’s dismissal was signed by KPV LV party’s excluded Aldis Gobzems, KPV LV party’s «internal opposition members» Karina Sprūde and Linda Liepiņa, as well as Uldis Augulis (Union of Greens and Farmers), Jūlija Stepaņenko and multiple Harmony deputies. Gobzems published documents on his social media. A total of 11 deputies have signed this request. According to what Gobzems wrote on his social media networks, the request is associated with Saeima’s proposal to abolish MPC system. «Objectives given to the Saeima have to be completed. And in a timely fashion, not when such a desire appears,» says Gobzems. KPV LV considers the signing of the dismissal request by its internal opposition members as a spit in the faces of other members of the party and delegated ministers, said KPV LV leader Artuss Kaimiņš. He said that he does not want to predict the situation the party could end up in before it has been discussed by the faction internally. At the same time, the politician is confused as to why deputies come to the faction if they sign documents of this kind. Kaimiņš call this provocative action and an attempt to escalate the situation.